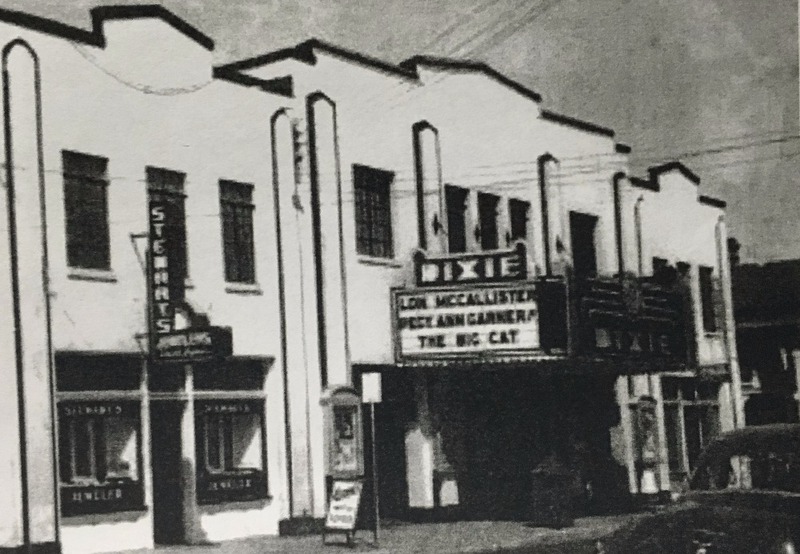 First opening its doors in 1934, the Historic Dixie Theatre was one to be marveled. The theatre presented feature films in addition to a variety of vaudeville attractions. Many locals remember “Fine Time For A Dime” features, which allowed them to see the latest picture shows for just 10 cents. Due to the rising popularity of television, the theatre closed in the late 1960s. The building was then used as a retail space as a part of the Delores & Woody’s department store, which featured seven shops in one. The theatre’s lobby housed the shop’s snack bar, and many remember stopping in for a snack while their parents and grandparents completed their shopping. In 2014, theatre proprietor W.M. Karrh’s grandsons donated the property to the City of Swainsboro for redevelopment into a community arts center. 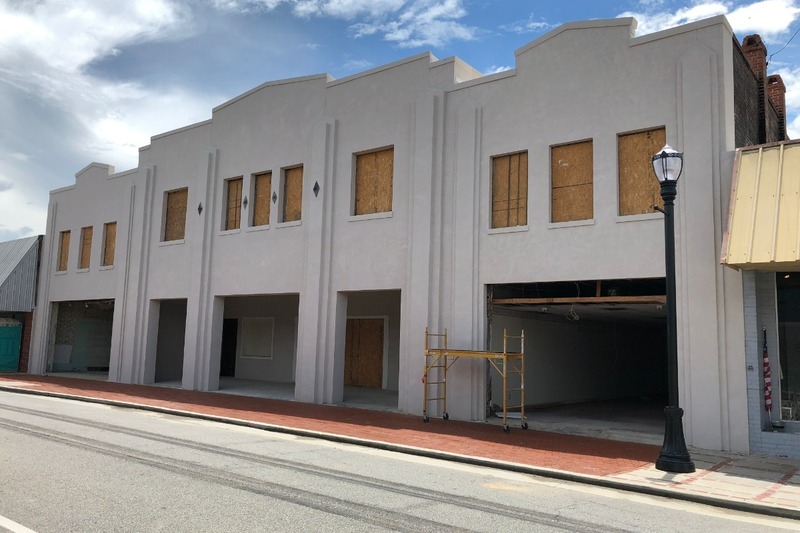 The Barbara & Tobe Karrh Community Arts Center will be a 16,000+ square foot home for arts and culture in Emanuel County, anchored by the Historic Dixie Theatre, a cultural and architectural landmark in downtown Swainsboro. - A newly restored Historic Dixie Theatre that will offer a state-of-the-art movie going experience. The theatre will have the comforts of modern cinemas in a unique, historic building. 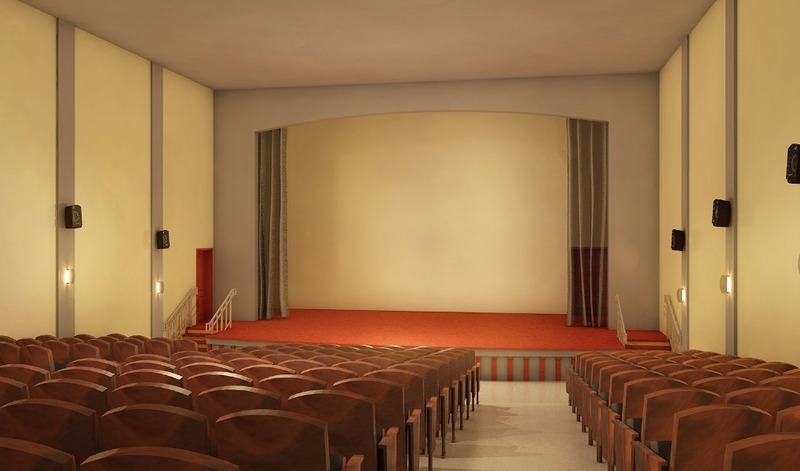 In addition to cinema, the theatre will also feature a stage and equipment needed for live performances such as concerts, seminars, plays, recitals, and more. 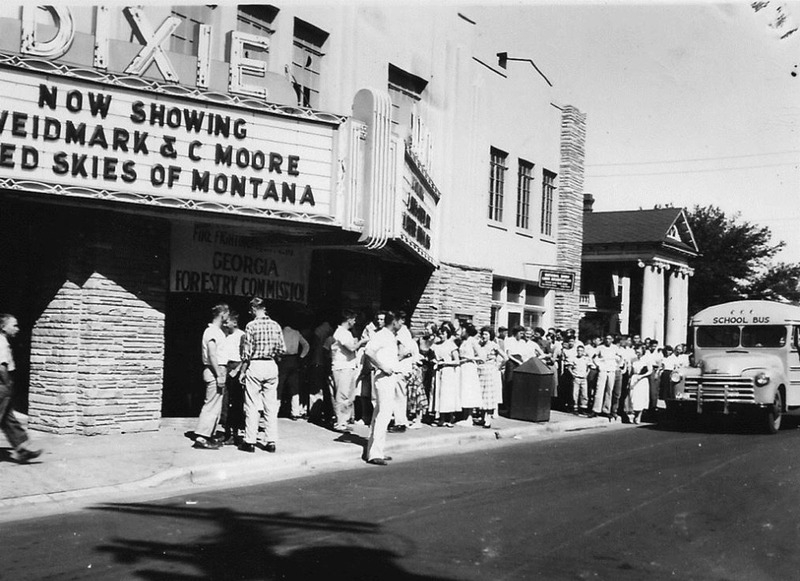 The Historic Dixie Theatre has always been a fond memory and favorite pastime of the people of Emanuel County. 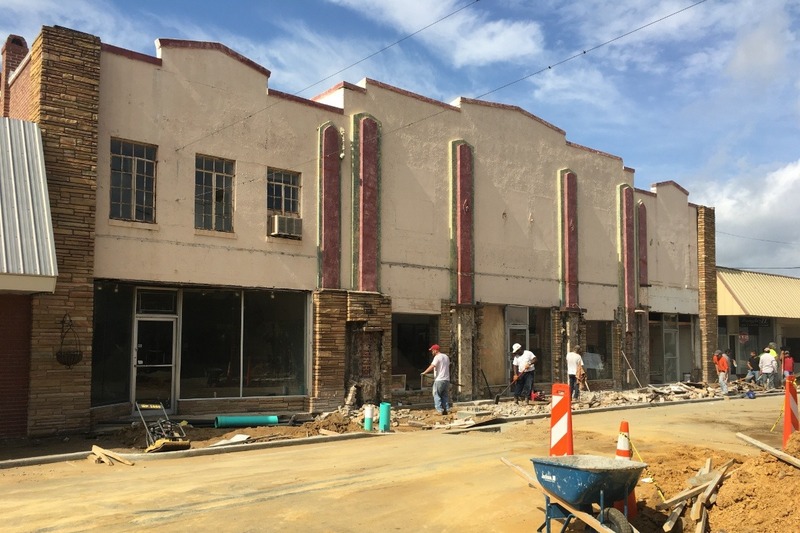 With the theatre restoration project and development of the Barbara & Tobe Karrh Community Arts Center, Emanuel County hopes to provide that same love and entertainment for future generations. The new community arts center will provide a home for the Emanuel Arts Council, partnerships with schools, a community meeting space, social offerings, affordable entertainment, and a better quality of life for residents of Emanuel County and beyond. 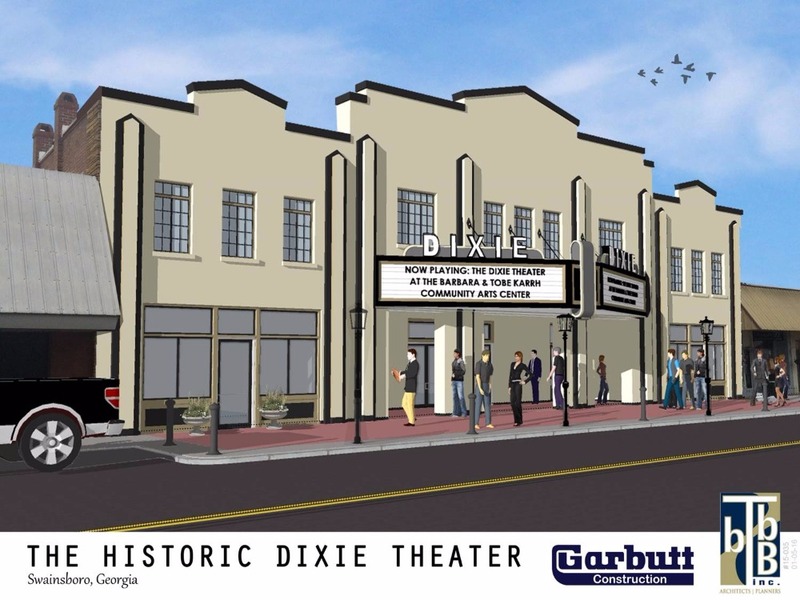 The development of the Barbara & Tobe Karrh Community Arts Center and renovation of the Historic Dixie Theatre will be approached in two phases. 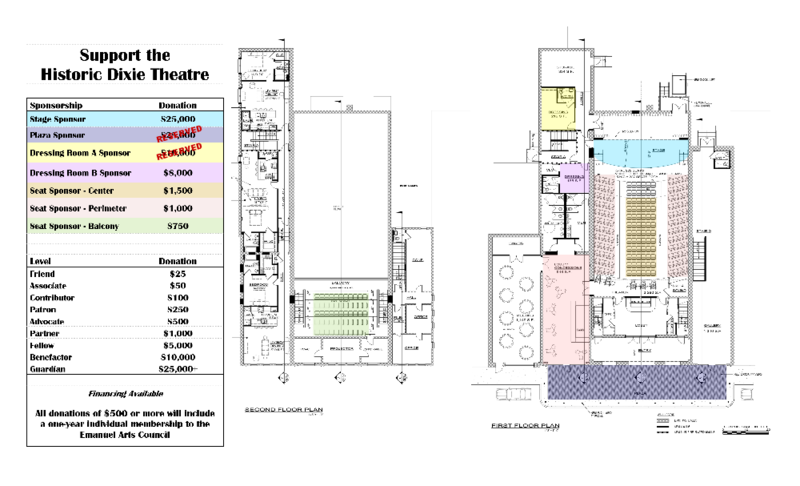 The first phase is expected to cost $1.5 million and will include a fully renovated theatre, art gallery and offices for the Emanuel Arts Council, and community meeting space. While project leaders continue to pursue a variety of funding opportunities, including grants and corporate sponsorships, personal donations will play an important role in meeting our goal and fully funding this exciting project. No donation is too big or too small. Every dollar counts, and we need your help in ensuring that the Barbara & Tobe Karrh Community Arts Center featuring the Historic Dixie Theatre becomes a reality for our community. 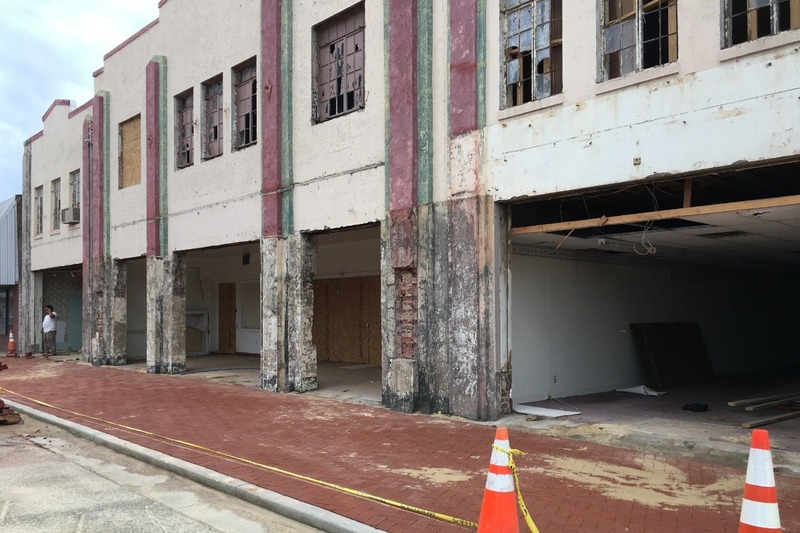 There are multiple opportunities for supporting the renovation of the Historic Dixie Theatre and development of the Barbara & Tobe Karrh Community Arts Center, including a variety of naming opportunities. All donations are tax-deductible and appropriate verification will be mailed to donors. Naming of a seat will include a brass plate with your inscription that will be affixed to the seat. Please note that naming a seat does not entitle ownership, special access, or seating rights during events. Please include inscription information in comments box. Max 3 lines, 25 characters per line. The Barbara & Tobe Karrh Community Arts Center and Historic Dixie Theatre renovation is a project of the City of Swainsboro, with the leadership and support of the Emanuel Coalition for Cultural & Economic Development (ECCED), a non-profit organization dedicated to enriching the quality of life in Emanuel County through using the arts and other cultural offerings to provide educational resources, strengthen the community's economic base, and build community spirit. The facade improvements are almost complete! 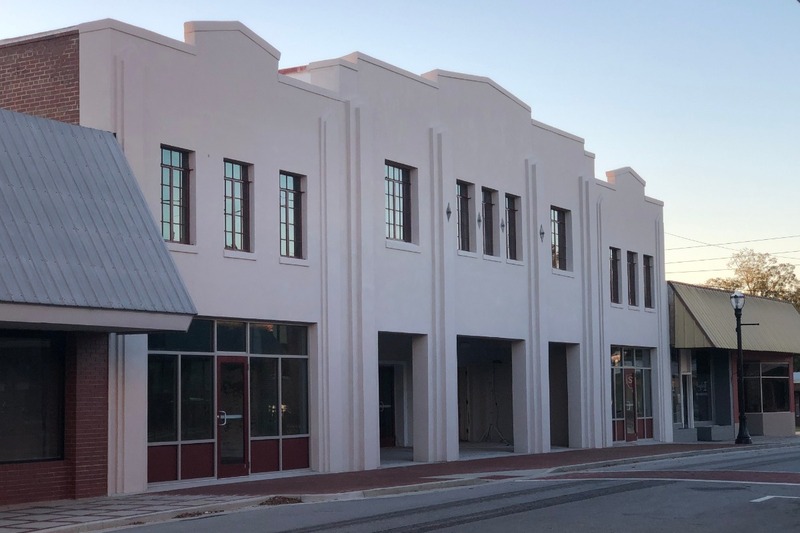 This phase included the restoration of the original upper story windows, new stucco, the installation of new doors and storefronts, and the addition of a plaza. Historic Dixie Theatre receives Fox Theatre Institute Preservation Grant! 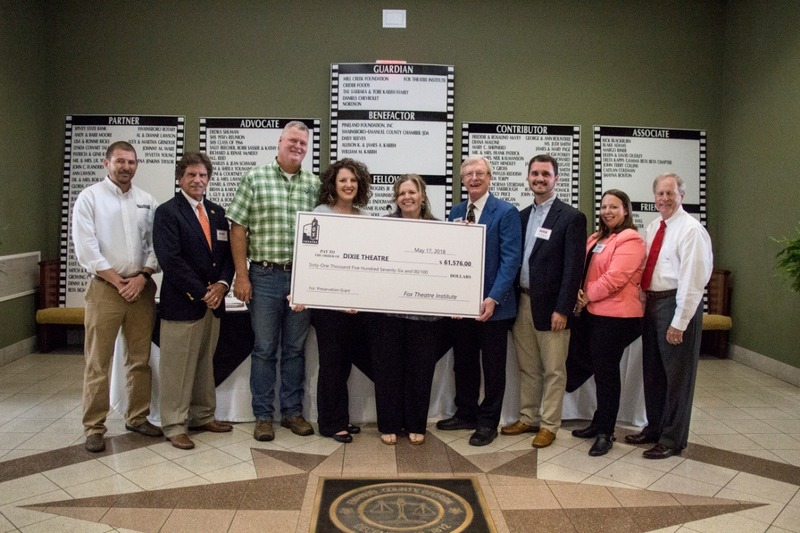 Rain did not dampen the spirits of dozens of community leaders gathered at the Emanuel County Courthouse Thursday, May 17, 2018 to celebrate the presentation of a Fox Theatre Institute Preservation Grant to The Historic Dixie Theatre. Fox Theatre Institute Director, Leigh Burns, noted the organization’s excitement in partnering with the local project, which includes technical support in addition to the $61,576 monetary award. She noted that The Historic Dixie Theatre’s award was the second largest grant given in the organization’s 10-year history. Project leaders, including Co-Chairs Bobby Reeves and Kristin Hall, Mayor Charles Schwabe, and County Commissioner Rusty Lane, offered remarks thanking the Fox Theatre Institute for backing The Historic Dixie Theatre project, as well as local citizens for the continued support that has made the theatre renovation a reality. The funds granted by The Fox Theatre Institute were earmarked for the completion of the theatre’s façade, including new stucco, storefronts, and doors, and the restoration of the original upper story windows. After the ceremony, visitors were treated to a “hard hat tour” amidst the progressing construction, led by project managers from Garbutt Construction. Are you still looking for the perfect Father's Day gift? 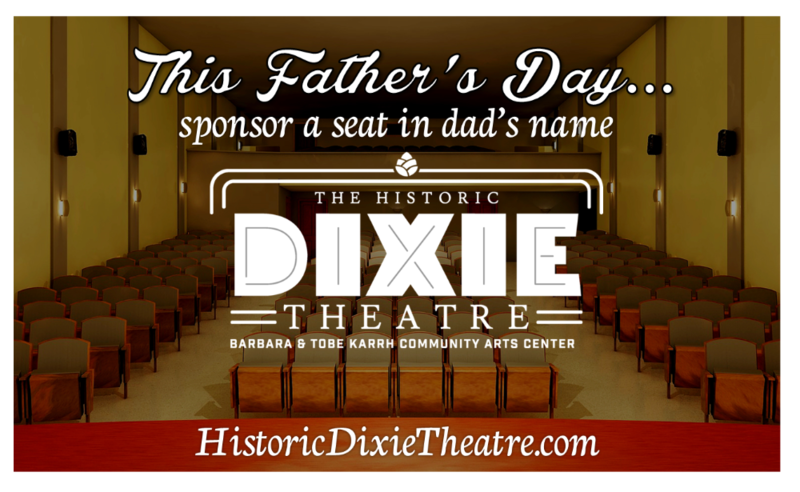 Why not sponsor a seat at The Historic Dixie Theatre in dad's name? For more information, visit www.historicdixietheatre.com. Name a seat in the balcony in the name of someone you'd like to honor, and receive recognition at the Advocate level of giving. 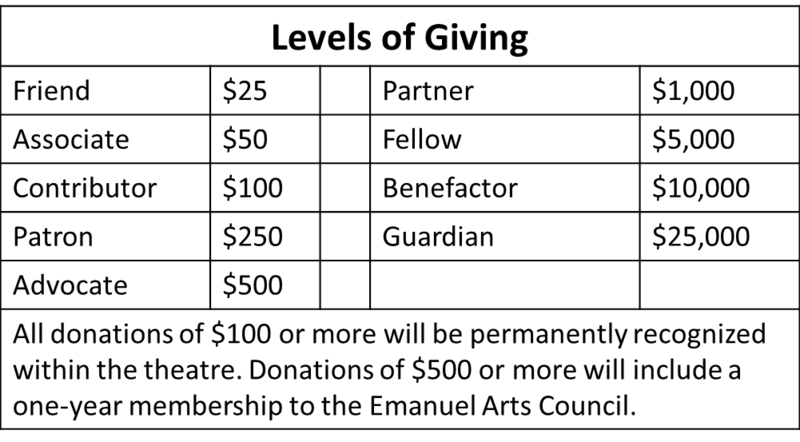 Receive permanent recognition in the theatre at the Benefactor level of giving. So happy to help our dreams come true through the renovation of theater in Swainsboro! I'm so excited about being able to go to the movies in Swainsboro again!